The texture & taste of Ketchup Jar by Walden Farns is really good. 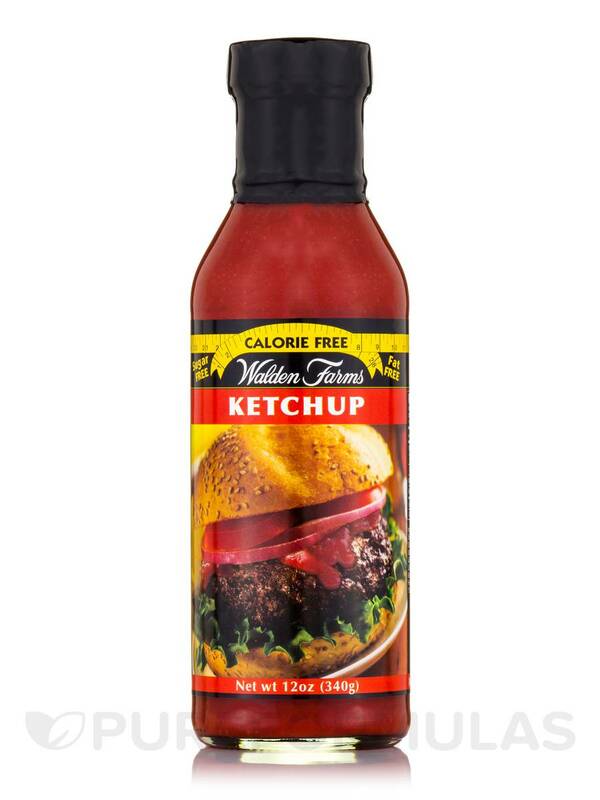 I was afraid to try Calorie-Free Ketchup by Walden Farms but I actually really liked it. Funnier than ketchup but a great substitute if you don't want the carbs from ketchup. I have only ordered Calorie-Free Ketchup Jar by Walden Farms once and the flavor is good. Ketchup can add the finishing touch to almost any meal. However‚ it typically contains lots of sugar and can be high in calories if you use too much. As a result‚ diabetics and other people with dietary restrictions may not be able to use most ketchup brands on the market. This Ketchup jar by Walden Farms is calorie-free‚ fat-free‚ carbohydrate-free‚ gluten-free‚ and sugar-free. 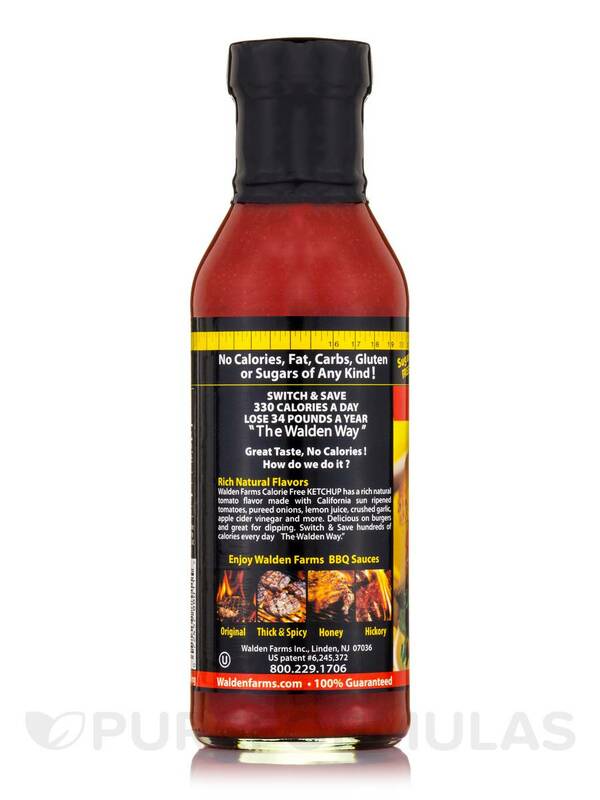 This condiment is made with diced California vine ripened tomatoes‚ 3x purified water‚ and concentrated natural flavors like Worchester sauce‚ onions‚ and garlic; as well as freshly ground herbs and spices. 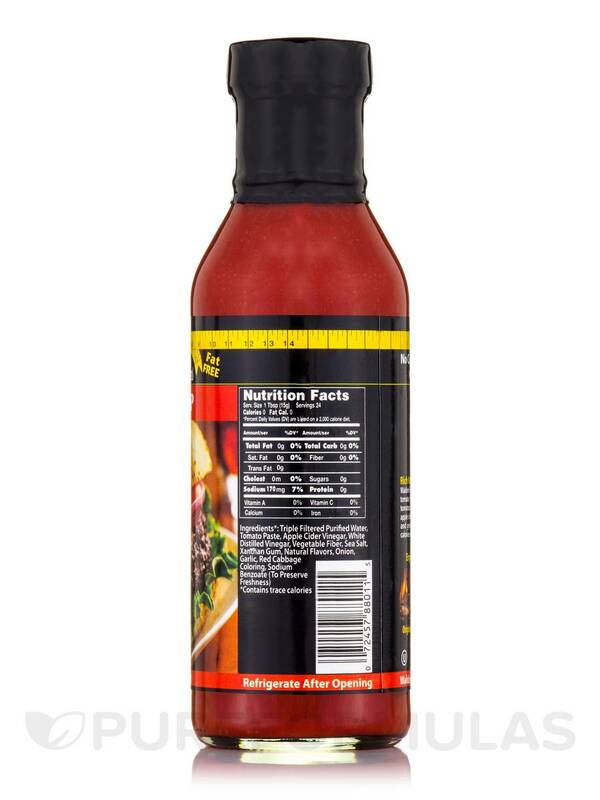 Each jar of Walden Farms' Ketchup contains 12 ounces of low carb ketchup‚ which has been sweetened with sucralose. Spread it on hamburgers‚ turkey burgers‚ or vegan burgers; dip French fries or chicken strips; even put it on scrambled eggs! You can also use it in recipes while cooking‚ or as a marinade. 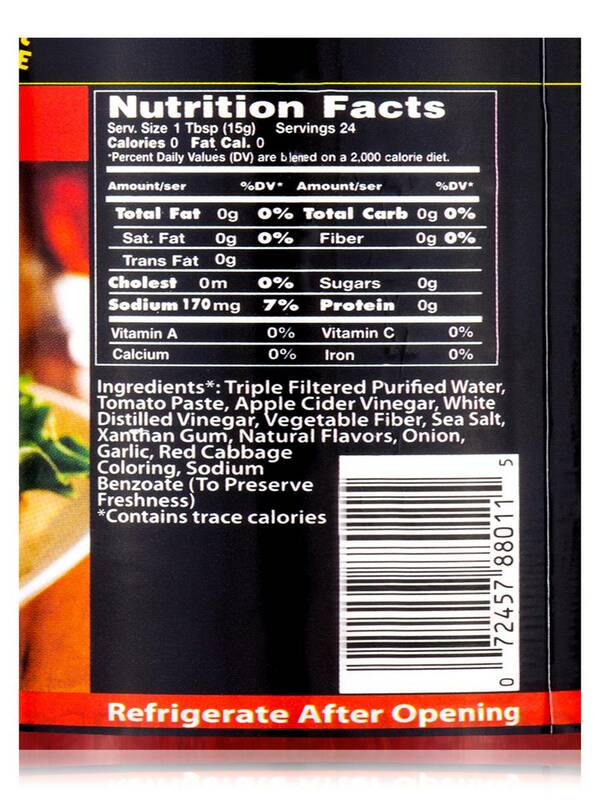 Ingredients*: Triple filtered purified water‚ tomato paste‚ apple cider vinegar‚ white distilled vinegar‚ cellulose gel‚ salt‚ onion powder‚ garlic powder‚ xanthan gum (thickener made from vegetables)‚ natural flavorings‚ lemon juice‚ red cabbage coloring‚ sucralose (splenda)‚ sodium benzoate (to preserve freshness). WOW! Taste is really good - like actual ketchup! 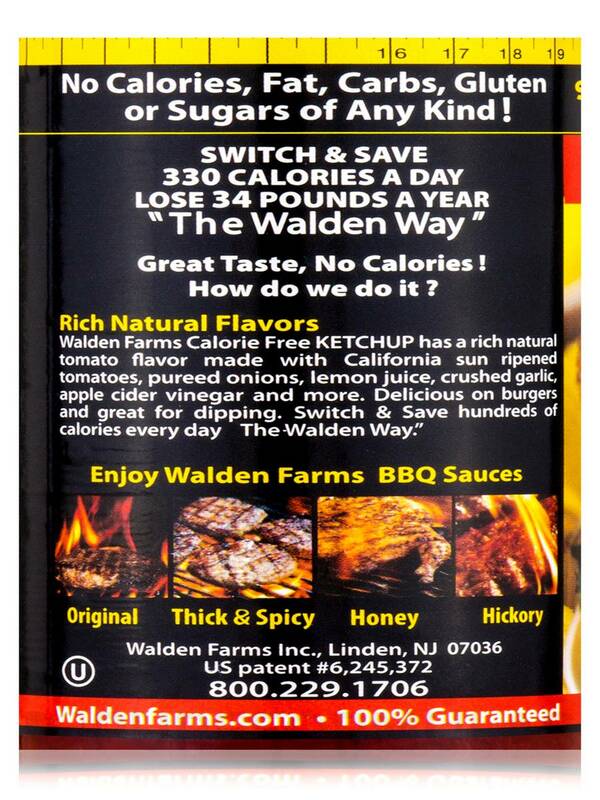 My husband loves Calorie Free Ketchup by Walden Farms too and we use a lot of their products! Can't expect Calorie-Free Ketchup by Walden Farms to taste like regular ketchup but for someone limiting carbs it isn't bad. Taste is a bit tangy. The taste isn't bad at all. Ketchup Jar by Walden Farms has good thickness, and taste great.